You’ve probably head of Shopkick and ShopSavvy, but have you heard about Spotzot? Probably not. If you go to the site, you’ll find a 1990’s looking list of shopping discounts organized by category. But despite the lackluster design, the engine behind it is an integral piece of today’s shopping puzzle. (Editor’s note: since this article was published, Spotzot.com has changed their website to be a promotional site for their platform with a much more updated design) Spotzot is the deal-targeting platform that powers Shopkick and ShopSavvy, along with many other shopping applications and web sites (eg, CardStar, Geodelic and others launching soon). Today Spotzot has announced they’ve raised $2.2 million in Series A financing led by Cervin Ventures, Inventus Capital Partners and TiE-Silicon Valley Angels. The funds will be used to grow the platform includines sales, engineering and operations growth. The platform leverages data and their unique algorithms to target brand and retail campaigns to consumers by location and intent. Most importantly, they offer API’s for other apps to leverage. Spotzot has a deep deals catalogue and ties together both online and in-store promotions, but their real differentiator is their “intelligent targeting technology,” which tags, sorts, selects and delivers the deals that will generate the highest click-through rates based on the user’s location, interests and shopping intent and behaviors (patent-pending). According to the team, 45% of shoppers who clicked on a merchant page in beta tests demonstrated purchase intent by clicking on the same deal at least twice from multiple locations while researching and actually shopping. Where does their data come from? Everywhere. They search, organize and categorize deals (in-store and online promotions) from thousands of sources spanning the top 750 chain operators in shopping, grocery, dining, services and entertainment, then deliver them to other apps via their free API’s. Did you just check in at local boutique and get a promotion? That might just be Spotzot powering the deal. “Spotzot’s APIs made it easy for us to quickly introduce deals into our mobile application, giving us broad control over how we display and target content,” said Matt Weathers, Head of Product for ShopSavvy, a leading mobile shopping assistant with more than 20 million downloads and over 10 million current unique users. Given that nearly 4 out of 5 US smartphone owners use their phones to help with shopping and that 70% use their smartphones while in a store (source: Ipsos OTX survey), Spotzot is in a good place among early deal providers connecting offline and online retail shopping experiences. Startups – need an API for targeting deals? 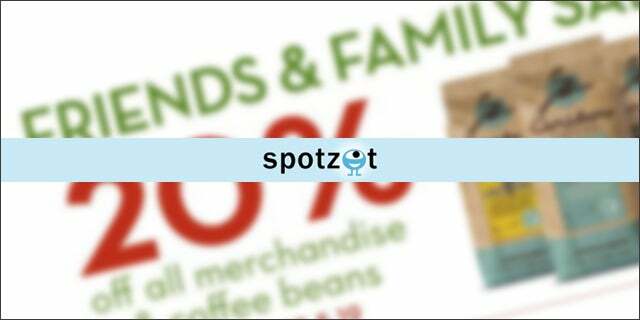 Take a look at Spotzot. They’ll be hiring soon too.